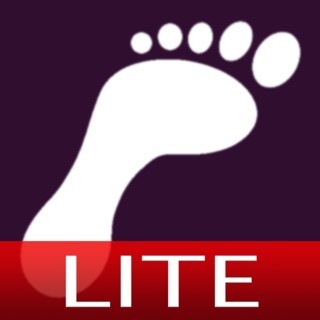 iSteps GPS Pedometer is a reliable and easy to use pedometer that keeps track of your walks and daily steps. 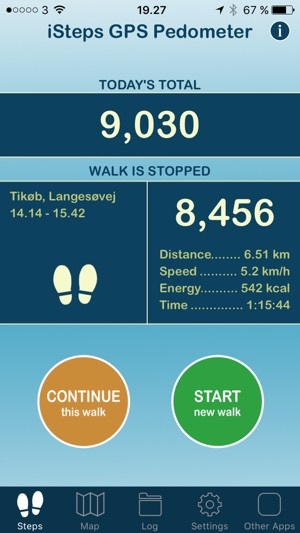 The app also displays distance walked, average speed, walking time and calories burned. Option to buy Upgrade Package with GPS route mapping and log function. 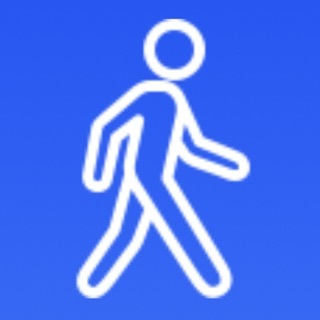 iSteps GPS Pedometer is a fun way to help you promote your physical activity. For long-term health it is recommended that we take approx. 10,000 steps a day. 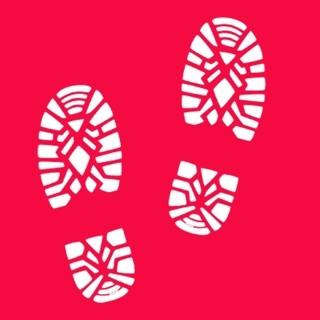 For successful weight loss, daily steps should amount to 12,000-15,000. 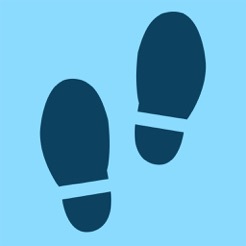 To get started using iSteps, set up your personal profile by entering your height in cm or inches, your weight in lbs or kg, and choose how you want your results displayed, either in kcal or kJ and distance in miles or km. Then press the START button and you are ready to GO! We recommend that you wear your iPhone or iPod touch by your waist or in your pocket, but you may need to experiment a bit to find the best location for optimal accuracy. 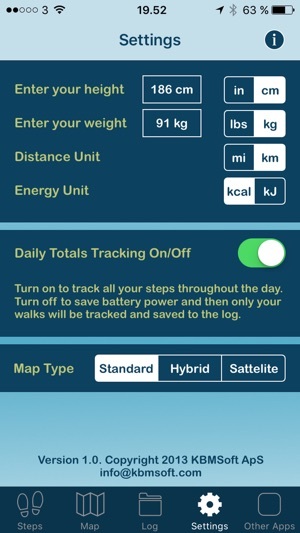 At first I thought this was a great app but after going on a hike with my son while he was using his step tracker app, I realized mine wasn't calculating the steps correctly. My Steps app calculated about one third of what his did. Now I wonder how far off all my other walks of been. 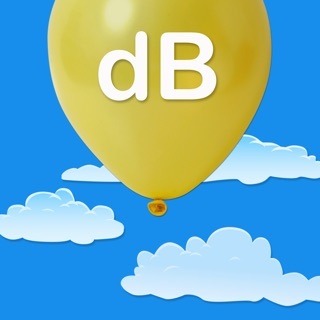 Please inform what should I do to have this app working all day long. I don't want to be pushing start and stop buttons so often. 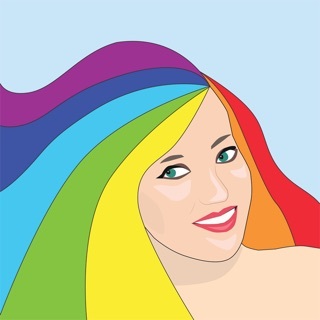 I thought this app would work better than other apps that are free of charge. I just saw the last update of this app was on 2013! It seems nobody is checking this app periodically. Developer, please look into this and find a way to fix it! I dislike throwing good money out on cheap promises. Please update this app! 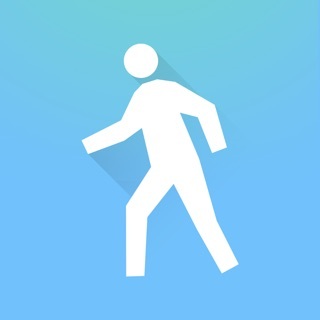 WALK - step counter pedometer, distance and activity tracker.